My Pre-Blog attempt at a photo. Calories - Pie - 260kcal; Oatmeal - 290kcal. I was lucky enough to try the Coconut Pie when visiting Hawaii in January of 2011. The Coconut Pie (which is locally called the Haupia Pie), seems to make an appearance at Hawaiian McDonald's about once a year, I've been to Hawaii a few times before, and since, and this was the only time the Pie was available, so sadly, I only have this one, rather poor photograph of it. The pie itself had a lot of Coconut filling inside, and it was served warm (as it should). It wasn't overly sweet, but I think the fried crust took away from the flavour a bit. Personally, I prefer the baked pies over the deep fried ones, and I wonder if these would taste better without the crispy (and oily) crust. 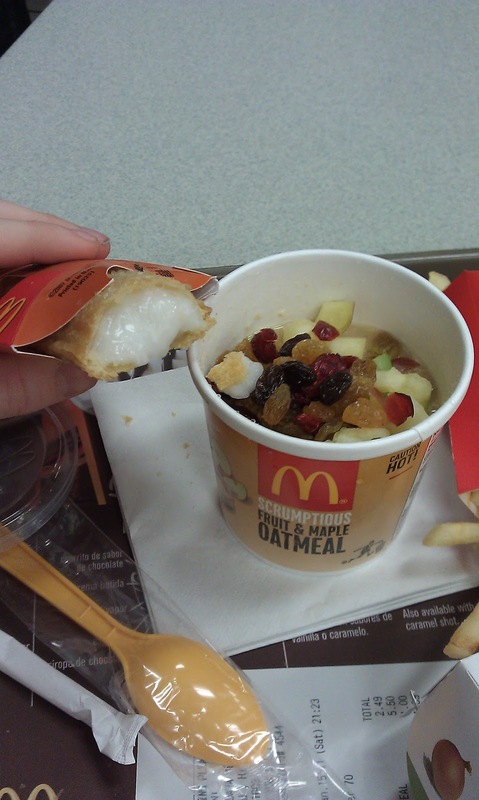 This was also around the time McDonald's introduced the Fruit and Maple Oatmeal. I had printed out a coupon from their website for a free bowl, and when I received it, there was also a coupon stuck to the side of the bowl, and an additional coupon inside the takeaway bag! I used one of the free coupons a few days later to have a bowl for breakfast, and I walked away with two more! I guess giving out all the freebies worked as the Oatmeal is now a full time menu item. I enjoyed it, even though I had to wait around 5 minutes for it to be prepared (I guess they don't expect people to be ordering Oatmeal at 10pm). It had a decent amount of fruit served on top, and the grains were decent tasting enough,they were being promoted as Quaker Oats, so at least there is a respected name behind it. I was so lucky to try it in Maui in July 2012! Missing it now that I'm back in the Midwest! 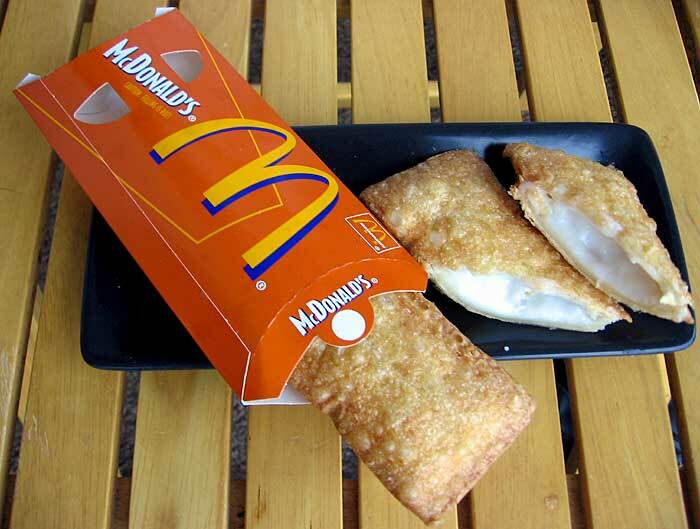 what is the nutririon value for the haupia pie at mcdonalds in Hawaii ? Loved that pie while visiting Hawaii in June, 2014! Would so love to have it here in Illinois.